Your marital status as of December 31 of the tax year in question controls your filing status for that year. If you’re not yet divorced as of December 31: You still have the option of filing a joint return. The alternative is to file as “married filing separately”, or you can file as “head of household” (which can result in bigger tax savings) if you meet these requirements: you lived apart for the last six months, you paid more than half the costs to maintain the household, and a dependent lived with you for more than half the tax year. If your divorce is final by December 31: You must file as single taxpayers, even if you and your spouse lived together as a married couple more than half the year. You can still file as “head of household” if you paid more than half the costs to support the household and a dependent lived with you for more than half the year. 2. Alimony and child support. If you’re an ex-spouse paying alimony, you can take a tax deduction for the payments, even if you don’t itemize deductions. If you’re the recipient of alimony payments, you must pay income tax on those amounts. Payments made before the divorce is finalized can be considered alimony as long as there’s a written agreement or court order in place. Child support, by contrast, is not taxable to the recipient, and it’s not deductible for the spouse who pays the support. Visit the IRS’s website for more information. 3. Exemptions for your dependents. If you’re divorced, you can continue to claim your child as a dependent if he or she lived with you for a longer period of time during the year than with your ex-spouse. If this is the case, you’re deemed the “custodial parent.” It’s possible for the non custodial parent to claim the exemption, but only if the custodial parent signs a waiver pledging that he or she won’t claim it. 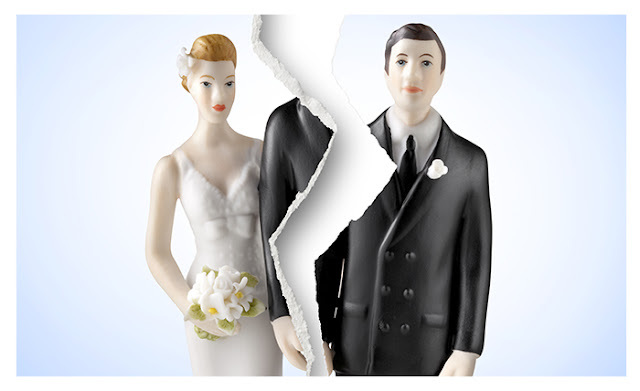 When a divorce settlement shifts property from one spouse to the other, the recipient doesn’t pay tax on that transfer. But the property’s tax basis will remain the same. So, if you receive property from your ex-spouse and later sell it, you’ll pay capital gains on all the appreciation both before and after the transfer. Thus, when dividing assets, it’s important to consider the tax basis as well as the value of the property. If you and your spouse sell your principal residence (defined as the home you owned and lived in for at least two years out of the last five), you can exclude up to $500,000 of the gain from taxable income as long as you file a joint tax return. If you sell after you’re divorced, you each may be able to exclude up to $250,000 of the gain on your individual returns. If you receive the house in a divorce settlement and sell several years later, you may still be eligible to exclude up to $250,000. Visit the IRS’s website for more information. Contact your Janney advisor for more information, or visit janney.com/taxes to read more about tax exemptions, deductions, and filing deadlines. If you need help filing your taxes, you should contact your qualified tax professional. Click here to download this commentary.